In the shadow of an idled General Motors plant, Sen. Bernie Sanders (I-Vt.) on Sunday said that, as president, he would tear up the company’s federal contracts if it continued to outsource jobs. “If entities like General Motors think that they can throw workers out on the street while they’re making millions in profits and then move to Mexico and pay people there starvation wages and then line up to get federal government contracts, well, they got another thing coming,” the senator said during a forum at Lordstown High School in Warren, Ohio. Sanders issued the threat just miles from a GM facility that, until last month, employed more than 1,400 people assembling Chevy Cruze sedans. After the Lordstown plant powered down, President Donald Trump lashed out at GM, the United Automobile Workers and the union’s local president — setting off a fierce national debate over labor, trade, outsourcing and automation. 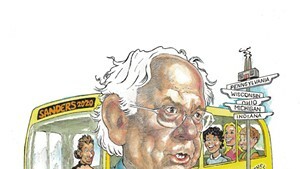 When Sanders came to town, he focused his ire squarely on the company, noting that it had taken tens of billions of dollars in government bailouts during the 2008 recession. “Our job now is to tell them, whether they like it or not, they will be good corporate citizens,” he said. Sanders’ visit to northeastern Ohio came near the end of a five-state tour of the Rust Belt, from Wisconsin to Pennsylvania. At each presidential campaign stop, he railed against corporate greed and trade polices that he said hurt American workers. During a rally the night before on the outskirts of Detroit, Sanders called on Trump to abandon the deal he reached last year with Canada and Mexico to update the North American Free Trade Agreement. 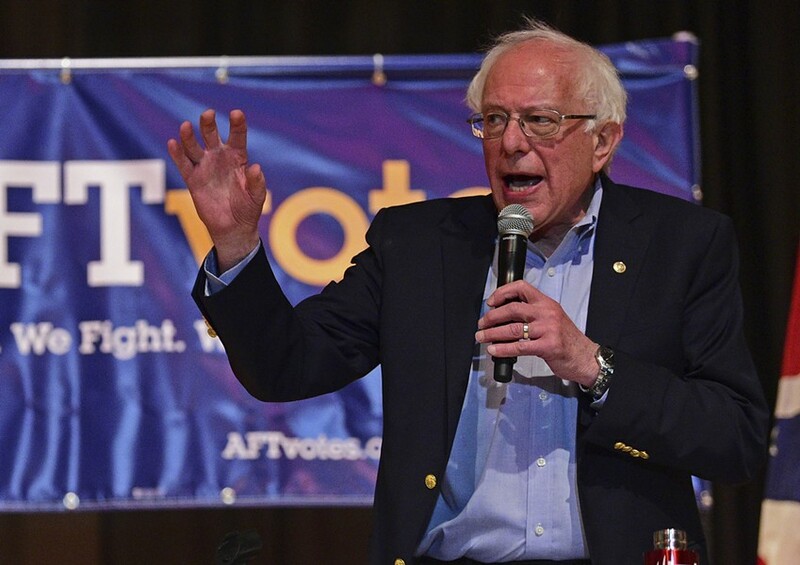 At the Lordstown forum, which was organized by the American Federation of Teachers, Sanders cranked up his rhetoric another notch.